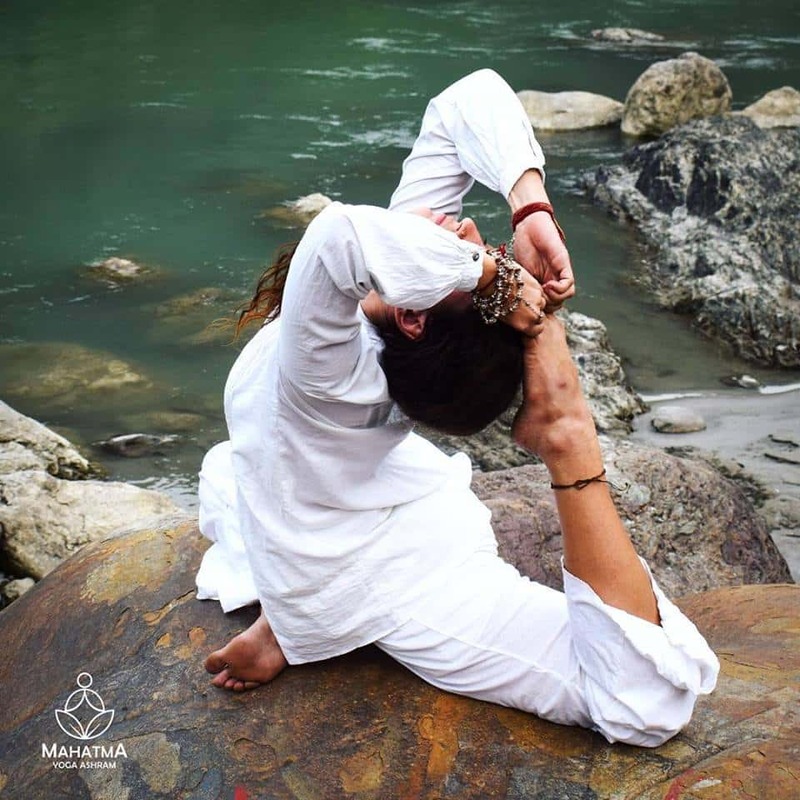 Mahatma Yoga Ashram offers Yoga Retreats, yoga courses for learners, yoga teacher training affiliated Yoga Alliance, offering panchakarma and ayurveda retreat, reiki course, reiki healing, naturopathy, reflexology, reflection classes at Rishikesh - India. Mahatma Yoga Foundation is located at the bank of Ganges with a capacity to accommodate about 25 people to experience the yogic lifestyle. Our residential activities and courses activities like Yoga, meditation, ayurveda treatment and reiki includes accommodation both on private and twin sharing basis with three organic meals daily. 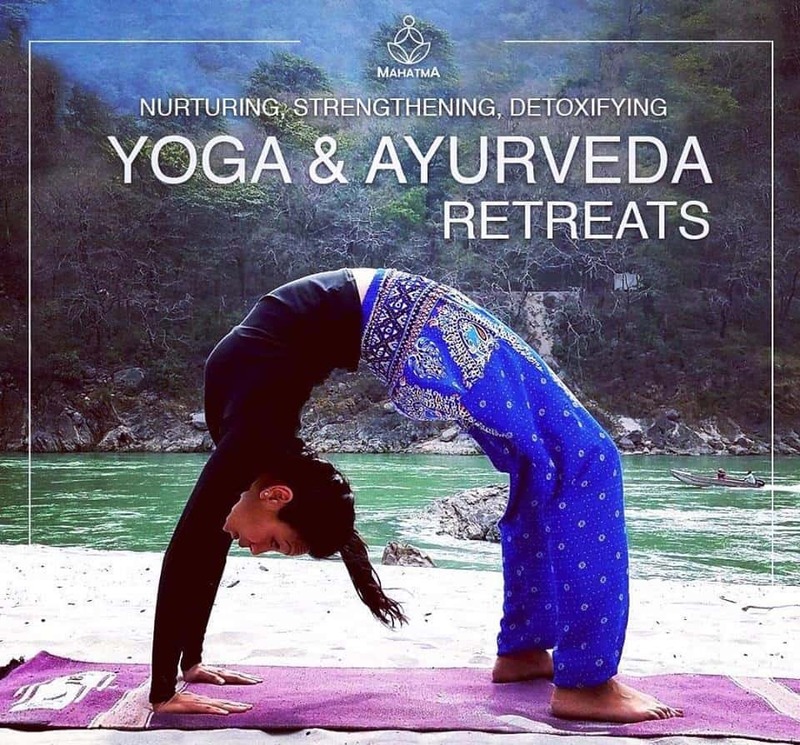 Yoga Retreats, yoga courses for learners, yoga teacher training with Yoga Alliance, panchakarma and ayurveda retreat, reflection classes, reiki course, reiki healing, naturopathy, and reflexology. Our Ayurveda retreats are run throughout the year (Preferably every Monday). Reiki course and healing at Mahatma Yoga is a natural and safe method of spiritual healing and self-improvement which not only balances the energies channels in the body but also empowered the natural self-healing relieves pain and clears toxins in the body for self as well to others and also for a long distant healing. The science behind this technique is to harmonize organs and glands and strengthens the human body self-immune system. This beginner level course in Reiki will make the student familiar with Reiki energy and is trained on how to perform healing sessions on the self by tapping into the energy fields. The unique way of balancing the energy fields and harmony creates the space for cultivating awareness to an individual and also create the love for self, which is needed before we start healing others. Reiki level I course doesn’t need any past experience and is perfect for those who want to explore the science of energy transfer and healing. The training carried out initially under the guideline of Reiki master where the healing channels are opened and awakened, and later allowing students to connect with the Reiki energy and feel more energetic, this will ignite the awareness with self resultant to tune within so that the various channel get synchronized. This 5 days course will not only increase the general sense of wellbeing but also uplift the spiritual sense, self-confidence and sense of intuition. The minimum eligibility to enroll for Reiki level 2 is to complete Reiki level 1. Reiki Level 2 is considered the "practitioner level course” and introduce a deeper understanding of the Reiki principles to an individual. The energy in this level can be solidified and becomes more intense in terms of healing. At this level, there are possibilities with a deep practice one can do a powerful healing and at a certain time also can obtain the level for long distance healing. The course includes revealing of mysterious ancient symbols to use during healing sessions, an Introduction to Aura, healing session for relaxation, Reiki healing for chakra balancing. Basic meditation, mantra chanting, pranayama, and light yoga practice is part of this course. Upon completion of Reiki level 2 If the Reiki Master feels that the student is ready for Reiki Mastership then he will allow the participant to further extend his training then the Reiki Master will accept him. This level requires self-practice and healing to other participants followed by ten days of silence where participants will be guided on to this. (“Vipassana”). Upon return from the 10 days of silence, the student may continue (if the master agrees) the study to become a Reiki Master. Reiki Master level includes the process to clean the aura, an introduction of more Reiki symbols and technique of balancing energy in his/her body, Practice of tai –chi, and chi –gong (balancing of energy), Introduction of Pranic and Crystal Healing. 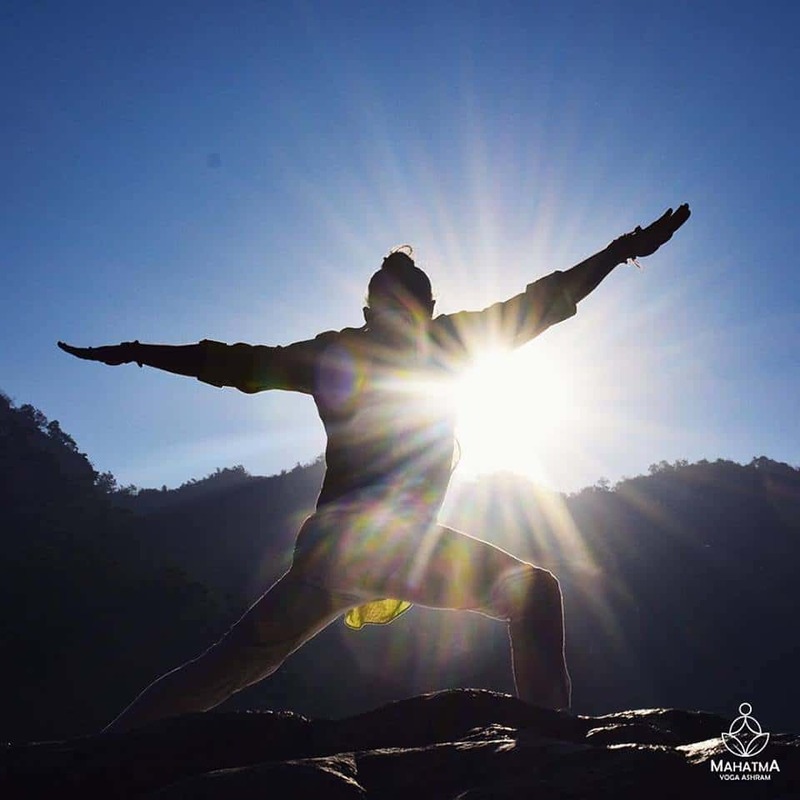 Our Spiritual Yoga and Meditation Retreats in Himalaya - India are for the seekers who need to encounter both yogic ways of life and spirituality in the meantime. Yoga retreats is an extraordinary open door for somebody who needs to encounter ashram lifestyle and furthermore appreciate undertaking, trekking and outdoors. The rich green lower regions of the enchanted mountains at our wonderful Mahatma Yoga Ashram in Rishikesh will be your home for the first seven day stretch of the yoga retreat where one can learn and practice yoga asana alongside meditation and pranayama to set yourself up for the upcoming deep spiritual experience on the second seven day stretch of the yoga retreat, an uncommon spiritual voyage through the Himalayas at the source of Ganges (Gomukh) while trekking, climbing, outdoors and meditating with the solid energies of the Himalayan mountains. ● One ayurvedic massage and Healthy Yogic meal.